Push panel up. 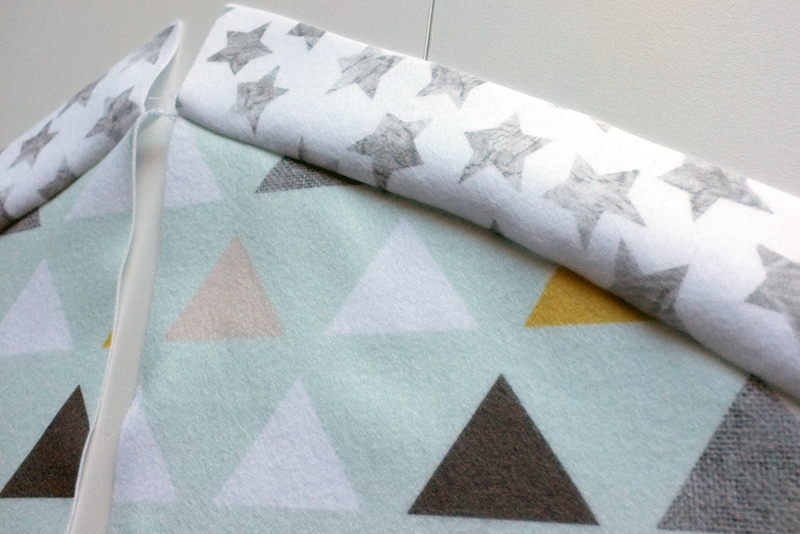 If you are sewing your panels with a regular sewing machine (zigzag stitch) finger press seams open. 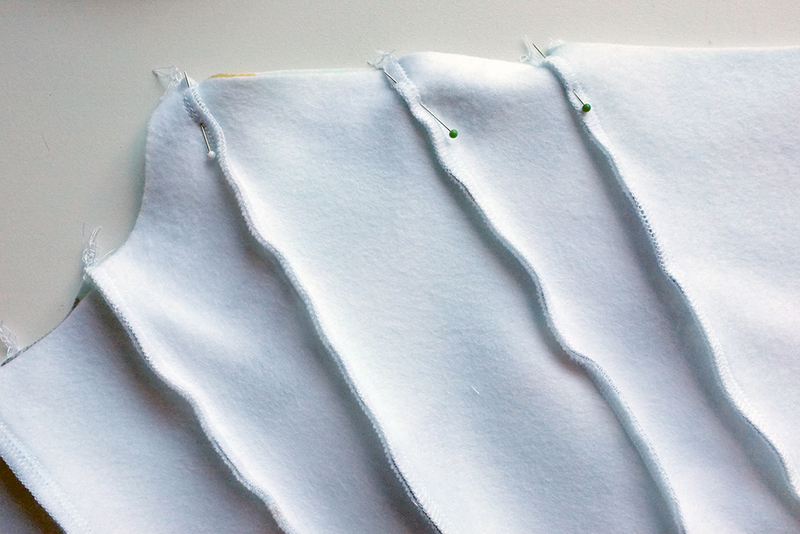 You can even topstitch on both or one side of the seam. 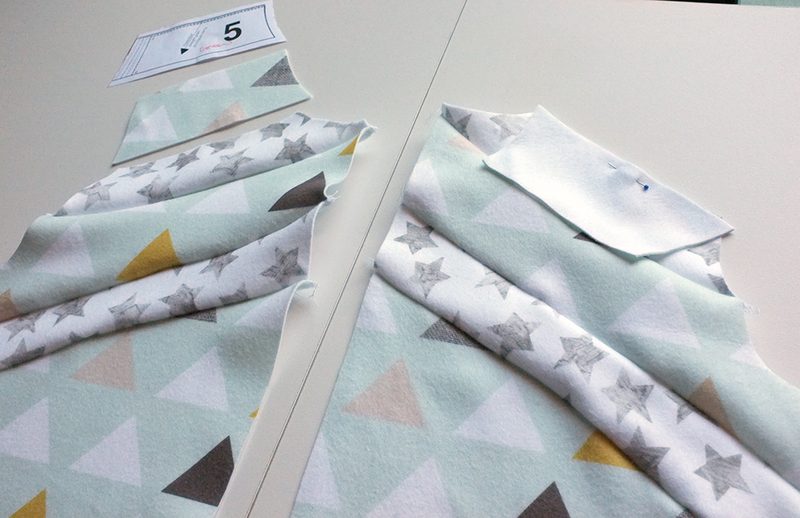 Locate the next panel, piece #3 and place it next to where it is to be sewn. 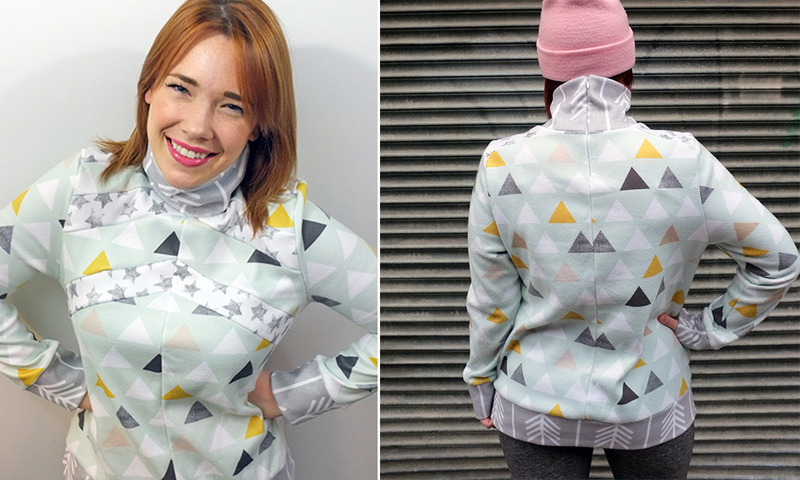 Note: those little numbers you see on the corners of BurdaStyle pattern pieces are very helpful when matching up seams, they really helped me in piecing this pullover together. Serge in place and then get the next piece #4. 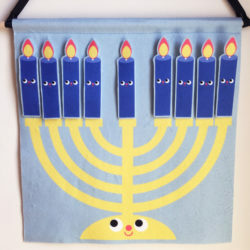 Sew that panel in place and push upwards. Get the next panel, piece #5 and pin in place right side together. Then serge/sew in place. 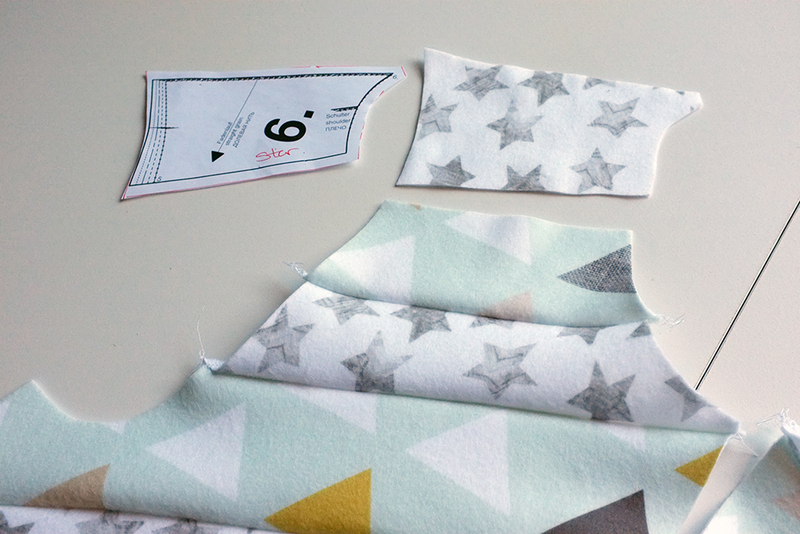 The last little panel is piece #6 and it can be tricky to position this one. 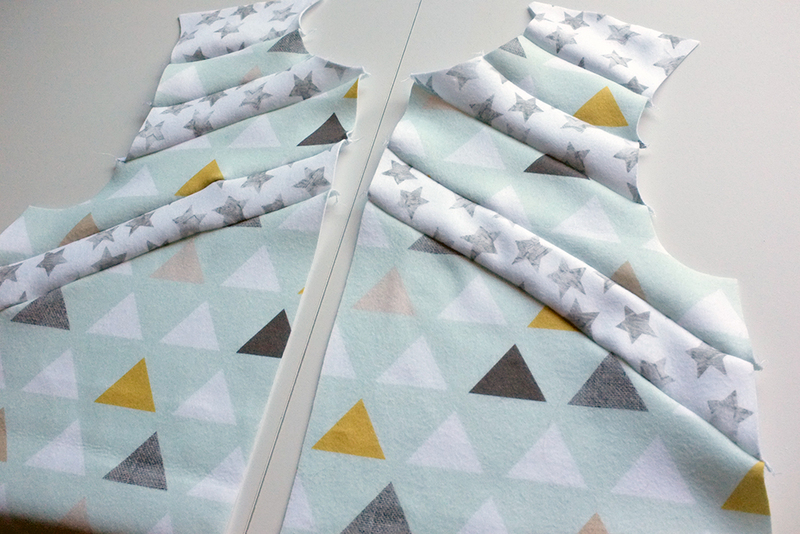 When I first sewed it I actually flipped it and sewed it backwards so really make sure the smaller side with the shoulder marking is along the neckline and not the armhole. 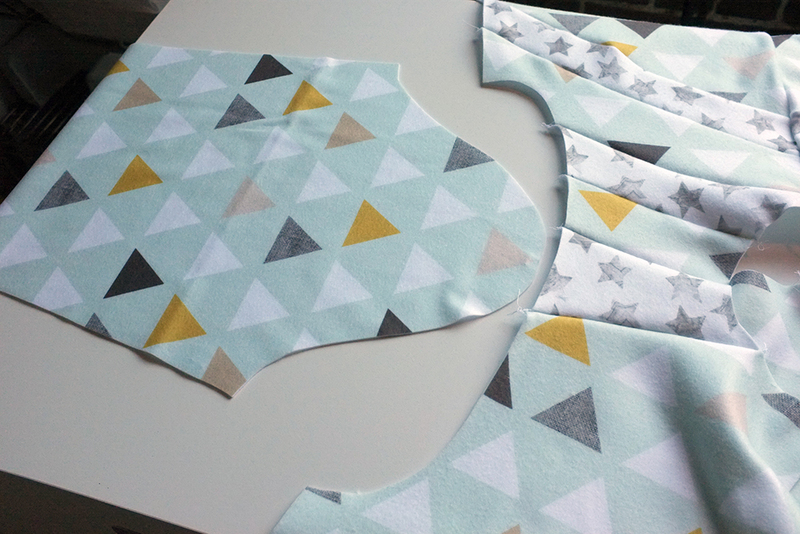 Now that all the front panel pieces are sewn together you must now sew the center front seam. 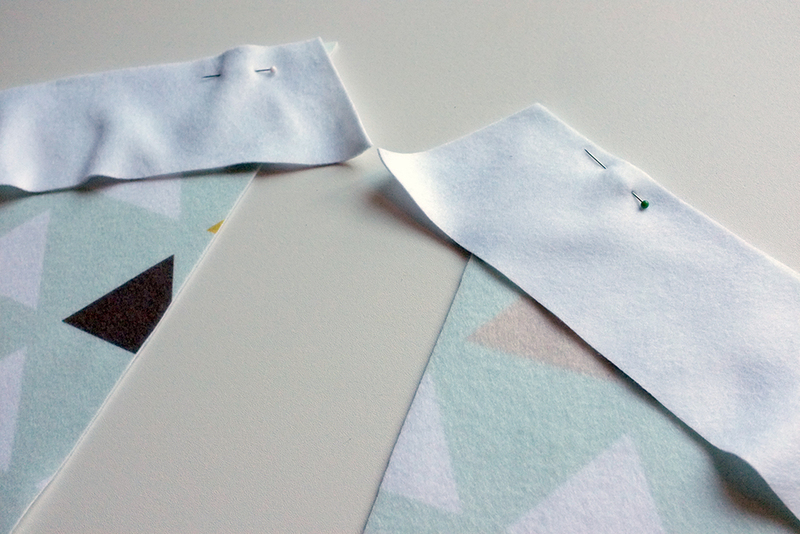 Pin the fronts, right sides together, Make sure to carefully match up and pin all the connecting seams. Serge in place. 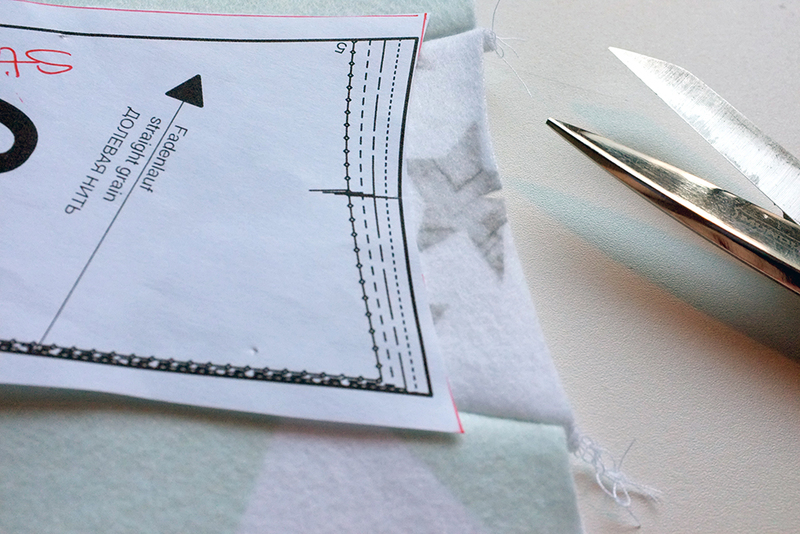 When I serge intersecting seams together I actually push the serge allowances in opposite directions. It makes the seam have less bulk and match up better. 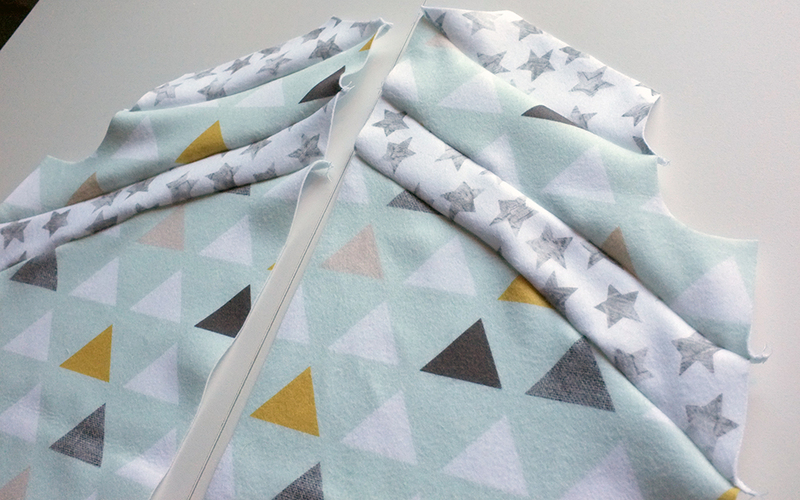 The sewn front should look like this (above). The next step is to attach the back pieces to the other side of panel piece #6. Serge in place and lay away from the front. 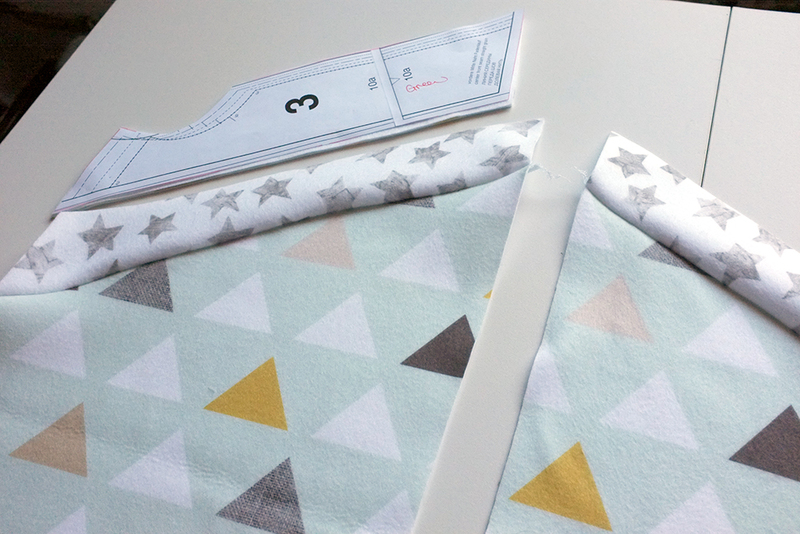 Again, you can choose to topstitch all these seams and if you are sewing with a sewing machine finger press all the seam allowances open. 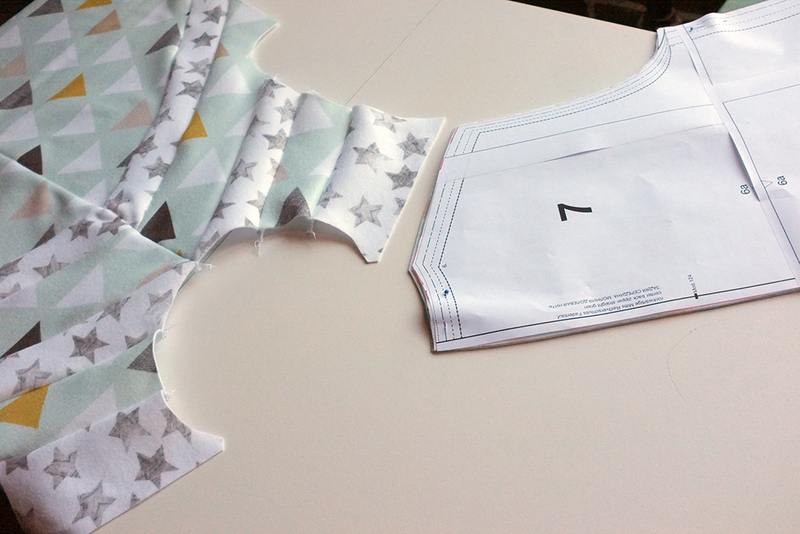 Place the pattern piece #6 and clip into the armhole notch. 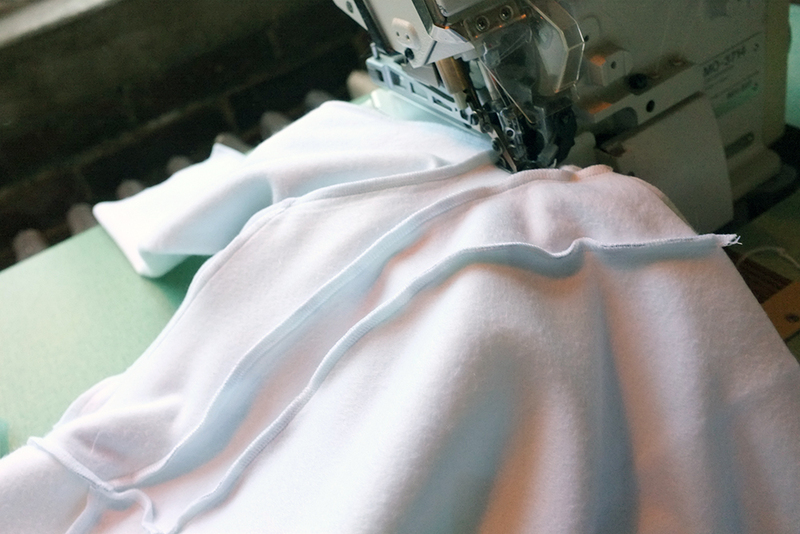 You can also do this before you sew! On the sleeve pieces #8 clip into the notch that marks the top sleeve. 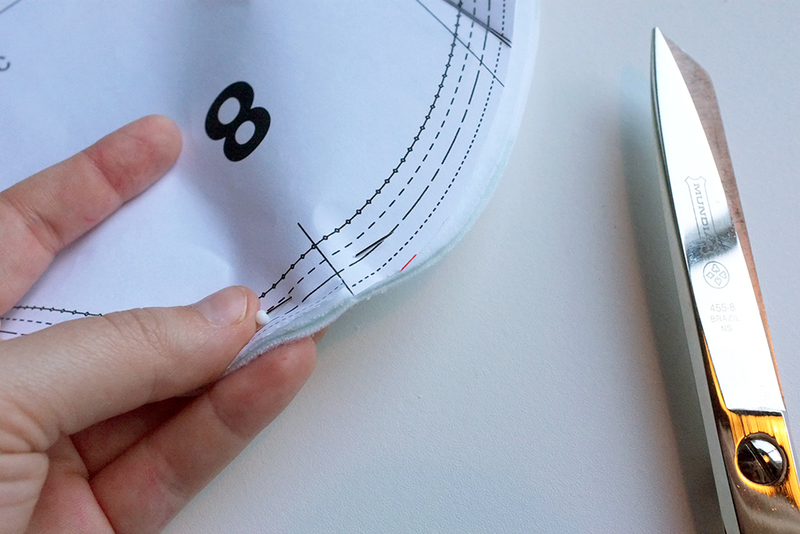 This notch corresponds to the clipping on piece #6. 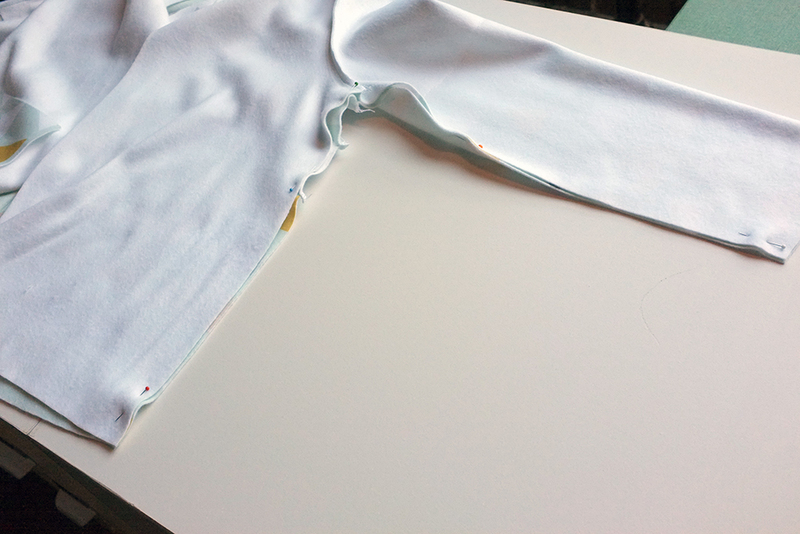 Lay the pullover body right side up on your table and match up the sleeve notches. 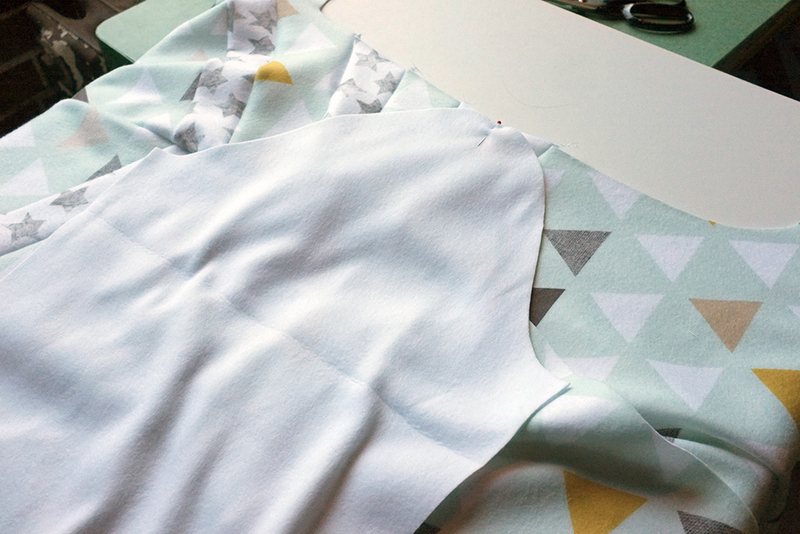 The notch along the sleeve curve represents the front, so lay your sleeve pieces accordingly. 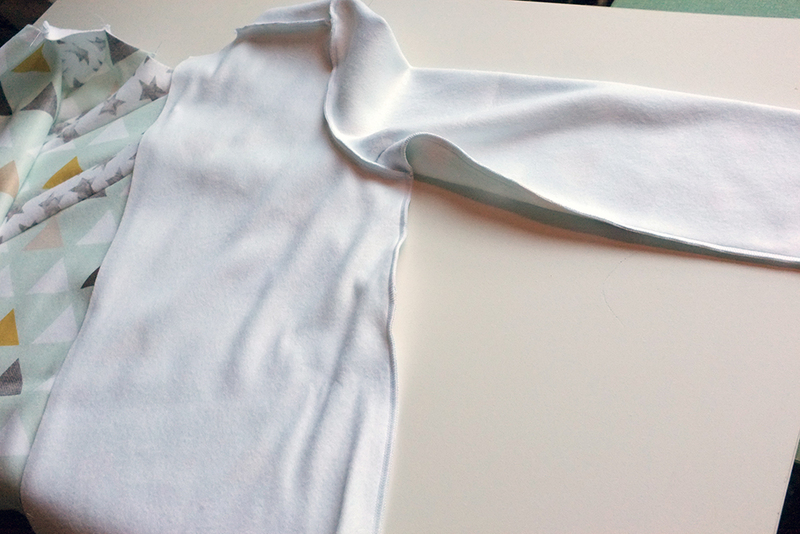 Now flip the sleeve so it is right sides together with the pullover and pin right at the top notch. 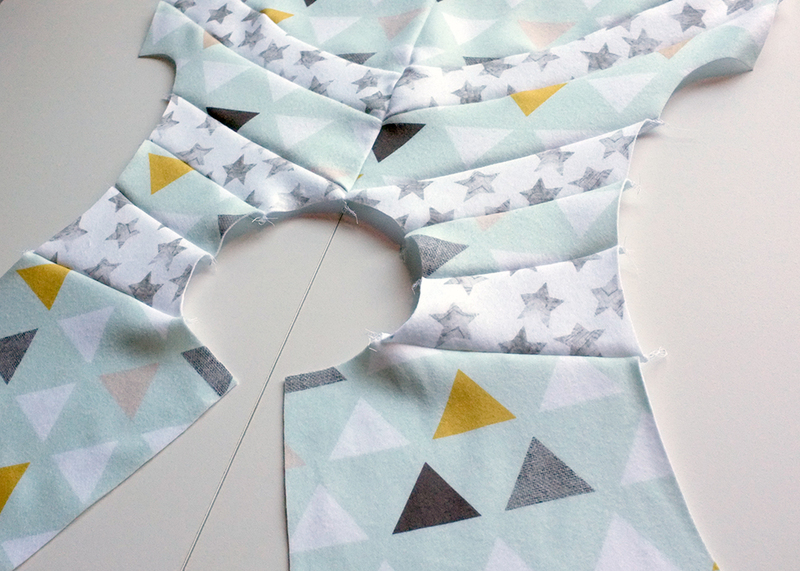 Start and stop serging at each underarm point. 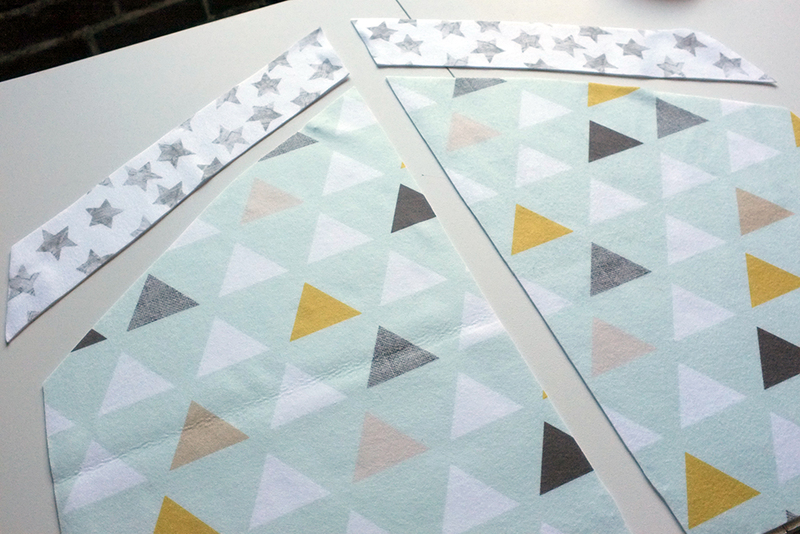 Repeat sewing for other sleeve. 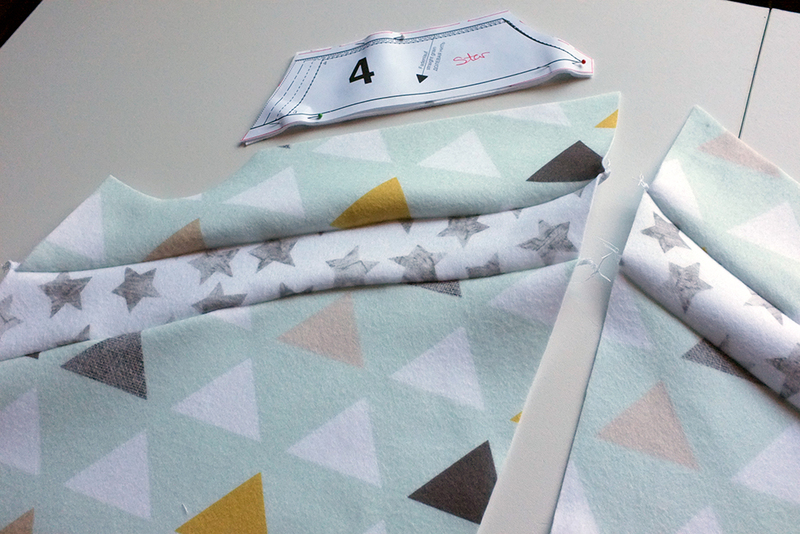 Once the sleeves are sewn in place fold them in half widthwise to the sleeve under seams match and then pin in place. 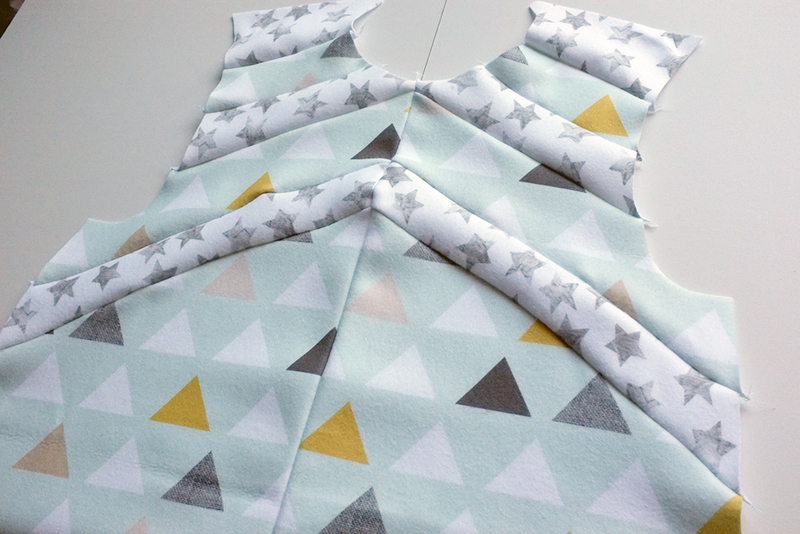 Also match up the underarm seams and continue to pin the pullover side seams in place. 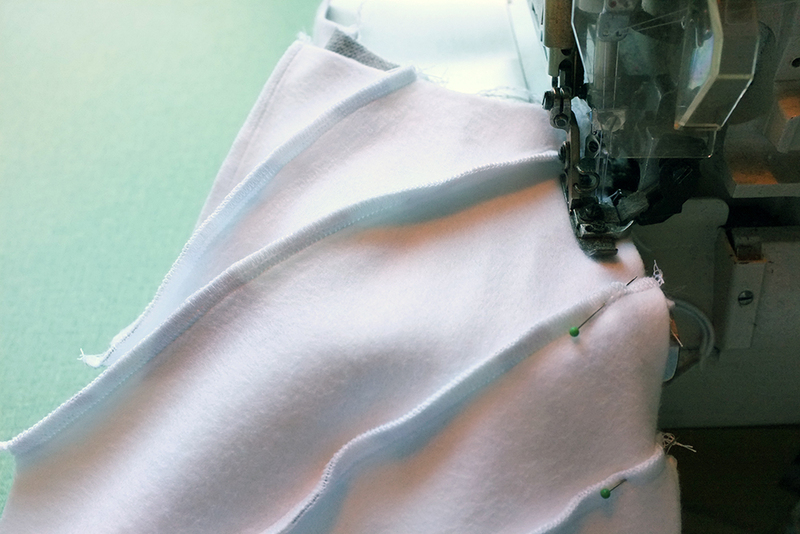 Start serging/sewing either at the bottom of the side seam or at the sleeve hem. 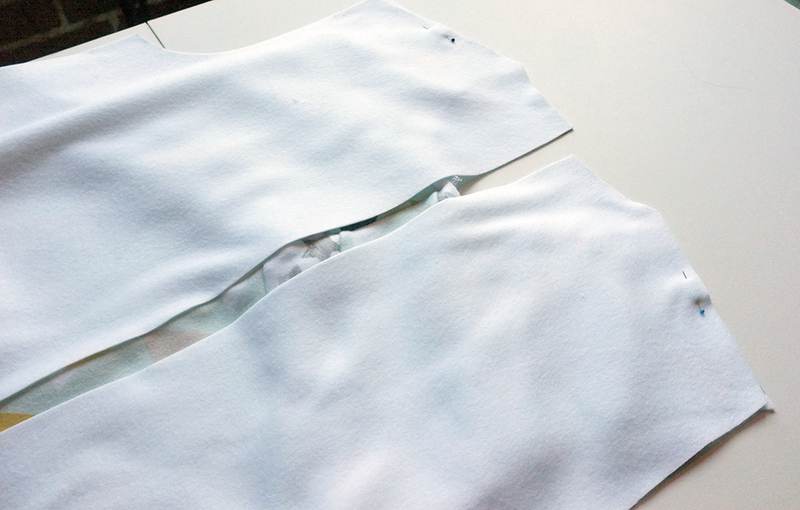 Just make sure the underarm seams match. 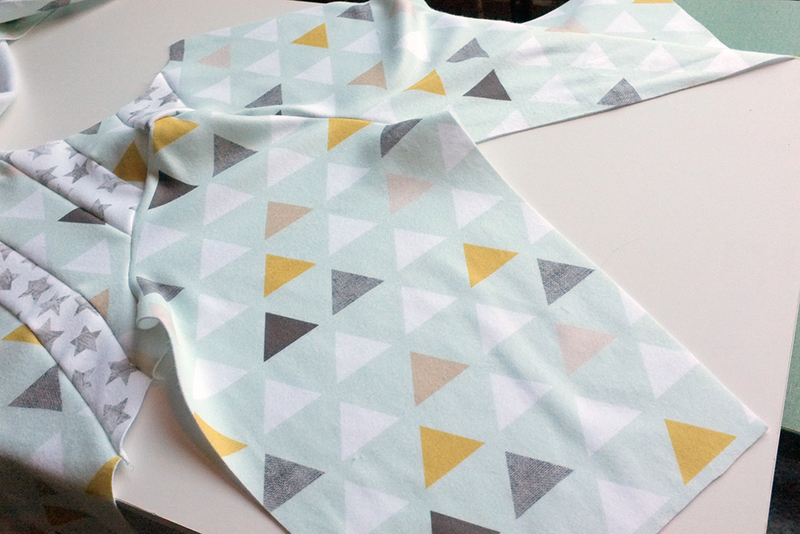 That wraps up part two, and now we have the base body of our pullover together! In part three (coming next Tuesday) we’ll finish everything up including the neck, sleeve, and hem bands as well as the zipper. See you then! 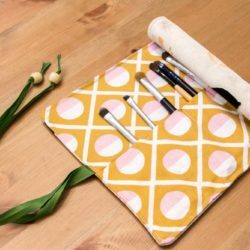 Meg Healy began to sew at the age of 12, which led her to study Fashion Design at both Fanshawe College in London and Parsons the New School for Design in NYC while also interning for Vera Wang. 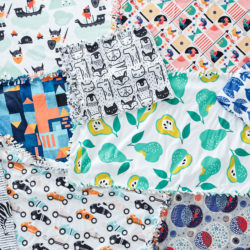 Meg gained the technical skills in pattern making and advanced sewing that led to a number of awards for her design and construction skills. 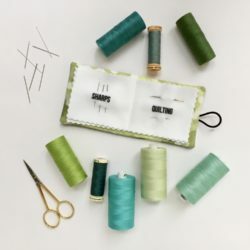 She is now is the editor, lead educator, and face of BurdaStyle.com, inspiring members with sewing projects, online sewing courses, & how-to videos. 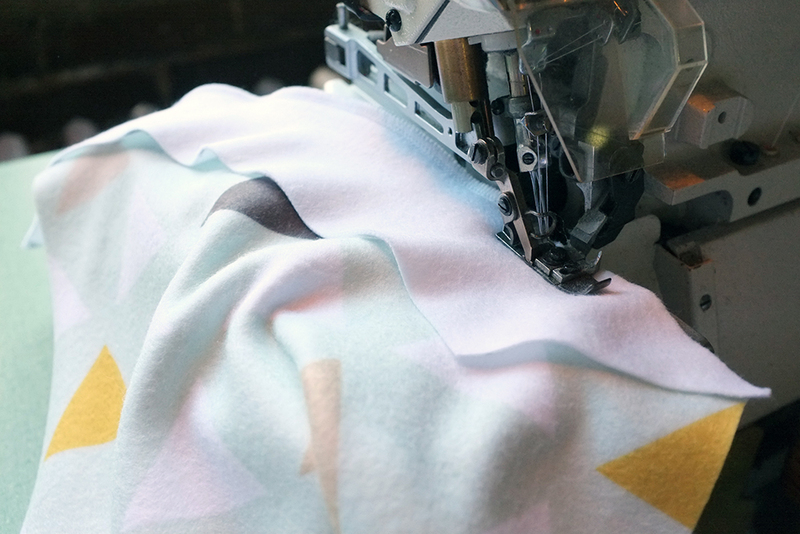 She thrives working from her downtown studio loft everyday with her giant Flemish rabbit and is regularly commissioned to sew wedding garments, textile art installations, and everything in-between.